We had the BEST day of our vacation – thanks to Maui Touring Company! Butch was an amazing driver, guide and friend. He took us all along the Road To Hana, he knew all the best stops, and showed us some breathtaking views! He was the perfect guide in a luxurious Cadillac Escalade. Full of information and ALOT of fun! Our lunch stop was fabulous and beautiful. No matter where we stopped Butch knew someone there, knew lots of interesting facts about each spot, and had a story for us. You could really see how much he loves what he does. He really made the tour really personal and enjoyable for us. 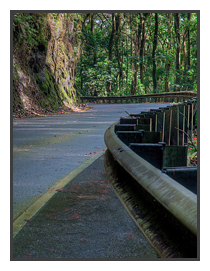 Trying to drive the Road To Hana on your own would be really difficult – the road is VERY winding (something like 600 hairpin turns! ), so you’d really have to pay attention to the drive, missing lots of the sights along the way. Butch from Maui Touring Company is definitely the best way to travel the Road To Hana! It was so relaxing, and we both loved that we could stop where we wanted or drive past the things that didn’t interest us, verses other tours that have designated stop areas. We really felt like we got the most out of the Road To Hana with this tour. If we ever find ourselves back in Maui we will be doing this again. From the very beginning of just booking the tour, everyone I spoke with was polite and very helpful. You can find out more about their tours by visiting MauiPrivateTour.com, or calling (808) 214-5804. The Road To Hana itself was amazing – definitely a must-see on Maui! Thanks again Butch! !